Get more out of your time in Tenerife by going on an SSI Advanced Open Water Diver Course. 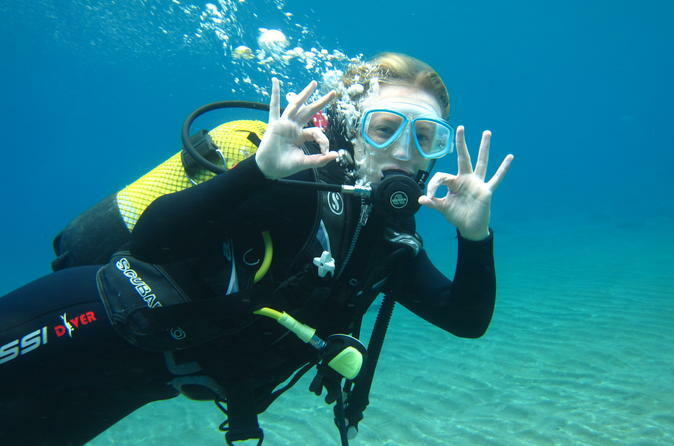 This safe and fun experience will help you to improve your scuba skills and increase your confidence. You’ll be able to pack light as all scuba equipment is provided. Learn safely under the instruction of a qualified PADI instructor. You’ll go on five different adventure dives with the freedom to pick the dives you want—such as wreck diving, or night diving.